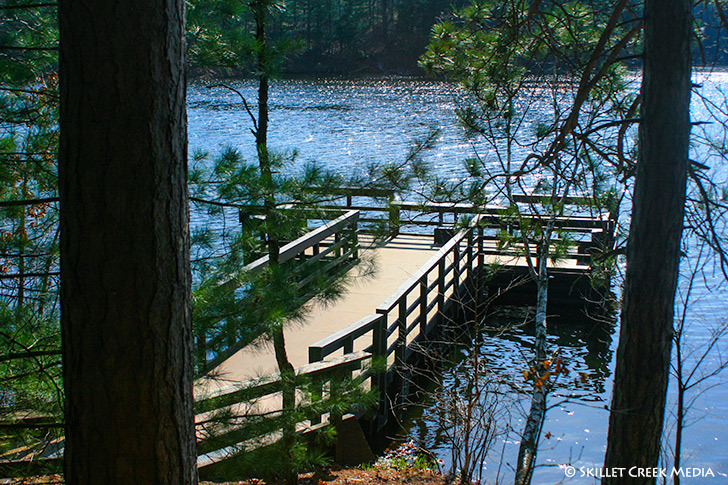 Accessible Fishing Pier | Mirror Lake State Park Visitor's Guide - Baraboo Wisconsin. was one of the first landowners to sell land to Mirror Lake State Park. The boarding dock was constructed by the W.C.C. with partial funding in memory of Ralph and Myrtle Peterson, long time residents and lake activist for 70 years.